Net lace is cool – and delicate – and feminine. But mainly an eye-catcher. 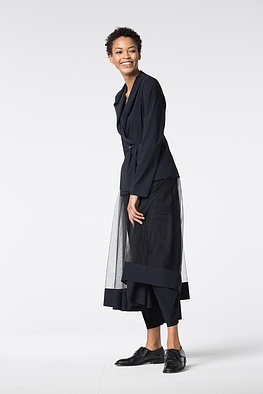 This OSKA skirt with a crinkled waistband presents all facets of what might be the most beautiful trend of the summer. How to combine it? 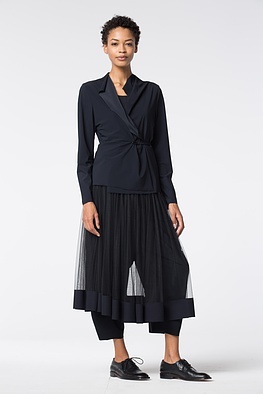 With the new voluminous O-shaped trousers, for example – or over straight-cut narrow dresses. A simple band at the hem and waist which lets you close the skirt at the side creates a beautiful contrast to the transparent net lace. . . 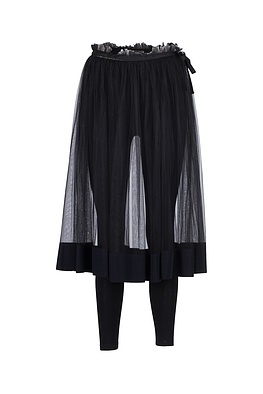 The skirt is sold without the shown Leggins! Wash on right in laundry bag.